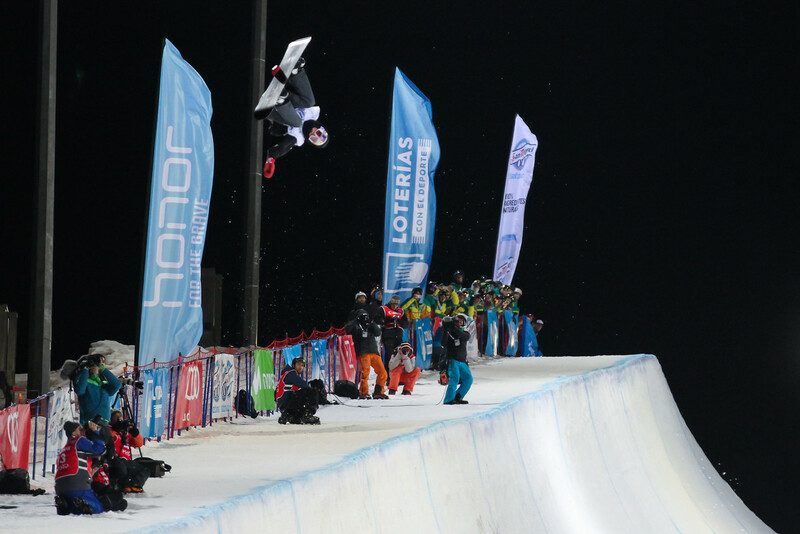 Sierra Nevada, Spain – China’s Xuetong Cai and Australian Scotty James successfully defended their halfpipe world championships titles on Saturday night at the Sierra Nevada 2017 FIS Freestyle Ski and Snowboard World Championships. Having already paved the road for back-to-back wins after the first of three runs, James finally upped his score from 95.75 to a 97.50 in the best-run-counts final to finish ahead of Olympic champion Iouri Podladtchikov (SUI; 93.25) and Pat Burgener (SUI; 90.50). James, who thanked crowd with a special victory lap high-fiving fans lining the pipe, became the first rider in history to successfully keep his halfpipe title in successive World Championships. Among the U.S. men, Ohio’s Louie Vito and Ryan Wachendorfer, of Edwards, Colo., made the final. Vito was the top American finisher for the men with an eighth-place performance. Wachendorfer finished just behind him in ninth. In the women’s event, Cai tried to raise the bar for her rivals despite attempting even harder tricks in her second and third runs. In the end, she claimed the precious gold with a score of 90.75 with Haruna Matsumoto (JPN; 84.75) and 2015 bronze medalist Clemence Grimal (FRA; 79.00) rounding out the podium in a respective second and third. Celebrating her second consecutive title, Cai became history’s second female rider to repeat a halfpipe title, after Doriane Vidal of France won in 2001, 2003 and 2005. Arielle Gold, of Steamboat Springs, Colo., and Wrightwood, Calif.’s Maddie Mastro represented the U.S. women in the final. Gold was the top finisher for the American ladies, finishing fifth despite struggling with shoulder pain. Mastro finished just behind Gold in fifth.